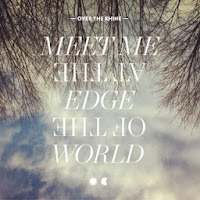 OtR's "Meet Me at the Edge of the World"
Meet Me at the Edge of the World, Over the Rhine’s new release, finally arrived. Although I’ve been listening to it for a couple of months now, nothing beats hearing it on vinyl. This album is strikingly different from the band’s 2010 release, The Long Surrender. That album was darker and harder hitting, with such songs as “The Laugh of Recognition, “Rave On” and “Undamned.” Save for the blues-infused “Gonna Let My Soul Catch My Body” and “Baby if this is Nowhere,” the bulk of these songs are more contemplative. This is pure Americana. Ohio figures prominently in these songs, even more than in their 2003 double-album release, Ohio. Most of the songs reference the state in one way or another. The song “All Over Ohio,” the first true duet by Bergquist and Detweiler, is the highlight of the album. With music and lyrics steeped in imagery and emotion, these songs act like paint on a canvas. This may be the most poignant and mature album they have ever made. 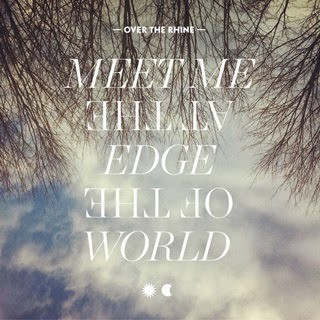 Never ones to underestimate their fans, Meet Me at the Edge of the World continues OtR’s tradition of making music that not only tells stories but feel as if they are late night conversations among friends. “Sacred Ground,” the third song on the album, tells the story of the veins of coal that stretched through southern Ohio and the many hands that have toiled bringing the coal to the surface. It is hauntingly sung by Bergquist and Detweiler with beautiful harmony. In the opening track, “Meet Me at the Edge of the World,” Karin Berquist invites us into their world, reminding us later in "Called Home" to "leave the edges wild." The album careens around themes of home, love and loss and offers up a couple of Linford’s instrumentals. It then ends with the beautiful “Favorite Time of Light,” that moment when the sun is just about to dip beyond the horizon, casting the sky in a radiant warm hue. It is those moments that are most important, when we stop and gaze upon the beauty of the world, holding our loved ones close and forgetting, for a moment, our worries and fears. This is an album that deserves to be absorbed and needs several listens to truly appreciate the nuances it offers. I suggest a glass of wine and a cozy fire. You will not be disappointed. 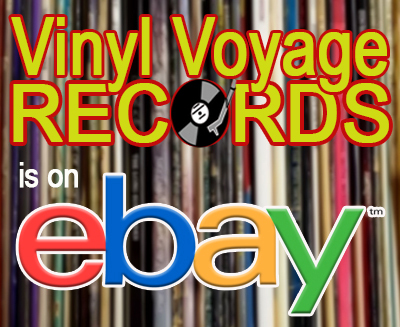 After an extended summer hiatus, Adventures in Vinyl is back with a very special K-Tel album from 1972. First of all, this album is brand new--never opened. You'll be hearing it first played on AiV. Secondly, this album was a K-Tel album, but also a "Top Star Festival" album, which was the record label of the United Nations. Yeah, that United Nations. 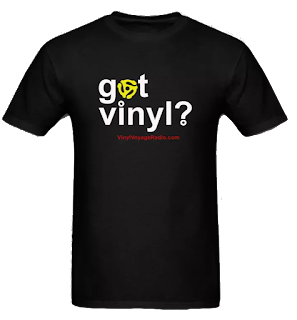 They had released several albums in the 60s and early 70s with all proceeds going to refugee aid. As far as I know, this is the only one released by K-Tel. Not only that, the album begins with a song that actually began as a television commercial jingle. Remember "I'd Like to Buy the World a Coke"? That song proved so popular it was worked into a hit song and was covered by two bands in 1972: the New Seekers and the Hillside Singers. The version performed by the Hillside Singers starts off the album. If there is a better song to bring you back to that time, I have yet to hear it.